Courage and Confidence – An Interview with January’s Doll of the Month Rayna! 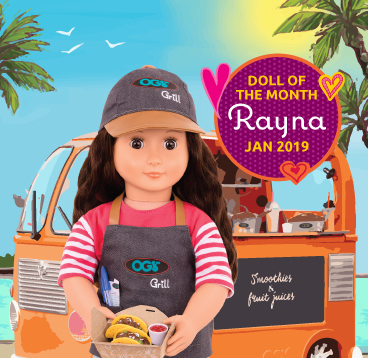 Introducing January’s Doll of the Month Rayna! Rayna always has a taste for fun with her foodie family and friends. Today we had a chance to chat with her to learn more about what it’s like to live with a stutter and how she overcomes obstacles with courage and optimism. Thank you so much for taking the time to chat with us today, Rayna! Awww thank you for choosing me to interview! This is the first time I’ve ever done one, so I feel honored to have been asked. 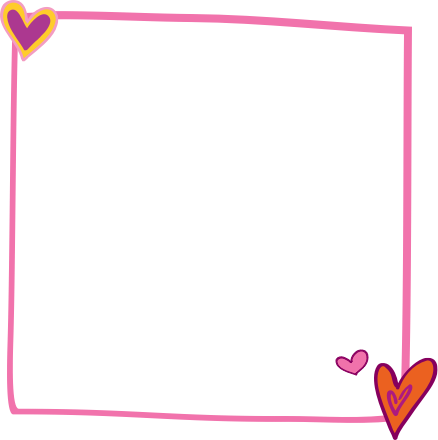 Before we start, we wanted to let our readers know something that we feel is important to explain and share about you. Absolutely, I’m not shy, you can go ahead and tell them! You’ve had a *stutter your whole life and even though it’s apparent when we speak with you, when we write up the interview, we will be writing the text as if you had none. Yes, I’ve asked for you to do this to make it a little easier for people to read *she laughs*. It sometimes takes me a while to get my message out when I’m speaking, so it’s nice to know that when I’m writing or in interviews like this, my thoughts can come across more easily. I feel like that’s the beauty of the written word! We feel you do a fantastic job of communicating, despite your stutter! We just love your book The “The Foodie Friends Project” and wanted to learn more about what it’s like living with a stutter and how you’re able to overcome the challenges that go along with it! You came up with a great way to get help your friend Miranda get over her fear of public speaking, and a way to stop your stuttering! Yes, it’s a really interesting trick isn’t it!? If I sing along, or repeat along with others, my stutter magically disappears. And I figured since Miranda was so *musical, and confident when she plays the drums, that it would be the best way for her to present as well. It ended up being a win-win all around, because it also ended up being more entertaining for the audience too. We thought it was a fantastic way to present your *foodie project. Speaking of food… would you ever consider stepping into your family’s footsteps and owning your own restaurant or food truck one day? I do love being and working in the restaurant… and talking to people! I could see myself taking over the family business one day, but there are so many things I love to do, that I can’t say for sure what the future holds for me quite yet. We wish you all the best of luck no matter what you end up doing, and thank you for sharing your story with us Rayna. Thank you so much for the interview, I had fun!